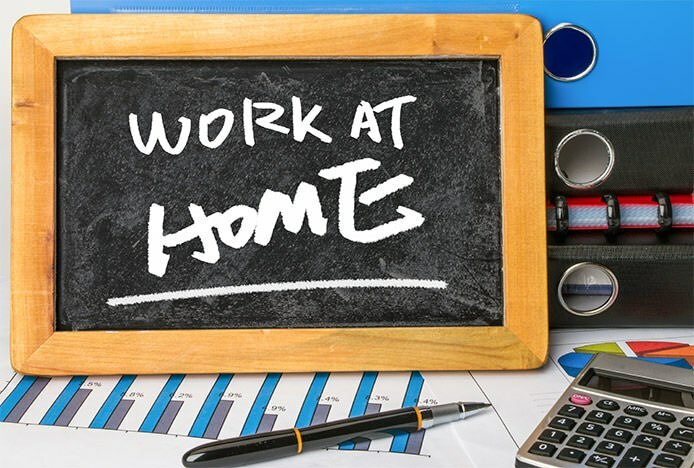 These days, more and more people are choosing the freedom of working from home. With benefits including less time spent commuting and more time spent with your family, it’s obvious why. Whether you need a dedicated home office to work from every day, or a place for the kids to do their homework in, we’ll show you how to create an area that maximizes productivity and reduces distractions. We know that home offices come in all shapes and sizes. When they’re located in smaller rooms, or squeezed into the corner of kitchens, bedrooms or sitting rooms, it can be difficult to avoid feeling like you’re working in a cramped environment. Luckily, there are lots of ways that you can make the most of the space you have. With some resourceful techniques, you can create a functional workspace that you’ll love working at. First, try to situate your workspace in an area with as much natural light as possible. If you can, avoid busy areas with lots of distractions to create the ideal workspace in your home. For more compact rooms, or for workspaces tucked in the corner of other rooms, Saddle Stools are great. They don’t take up much room, and can easily be stashed away when they’re not being used. If, however, you’re looking for the comfort of an office chair without the size, choose a model with a low back like the Rochelle Office Chair to emphasize the space that you have. "Remember, light colours can help to make more cramped areas appear roomier. 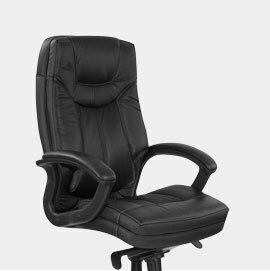 Our collection of white office chairs offer a clean, modern look, plus they come in a wide range of styles and designs, so you can choose one to suit your individual tastes and requirements." Of course, you may want your at-home workspace to feel just as professional as any other business. There’s no reason that you can’t achieve this look at home. For a business-like feel, go for a higher end, luxury model. 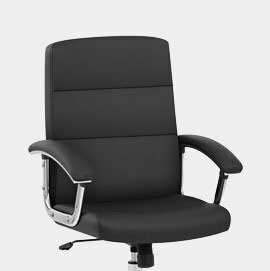 Executive designs like the Stanford Office Chair Black (pictured below) combine chrome frames with faux leather for a deluxe aesthetic. They’re also incredibly comfortable with lots of additional features, so you’ll have no excuse not to get to work! Often, your workplace will need to be a versatile space that can double up as an area where your kids can do their homework, or a place for relaxing in the evening. In this case, you’ll need to go for a model that is comfortable and fits with the design of your home. The Sofia Office Chair is a stylish alternative to the traditional office chair that offers just as much support as a conventional model. Lastly, make sure that you have plenty of storage to keep your workplace clutter free and organised. Take a look at our shelves & storage, or browse our range of desks, which combine stylish design with lots of clever storage space. Remember: a tidy desk is a tidy mind! 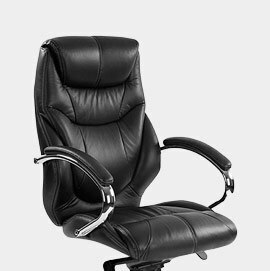 Whatever you’re looking for, we have a great range for you to choose from, you can browse our full range of office chairs below. 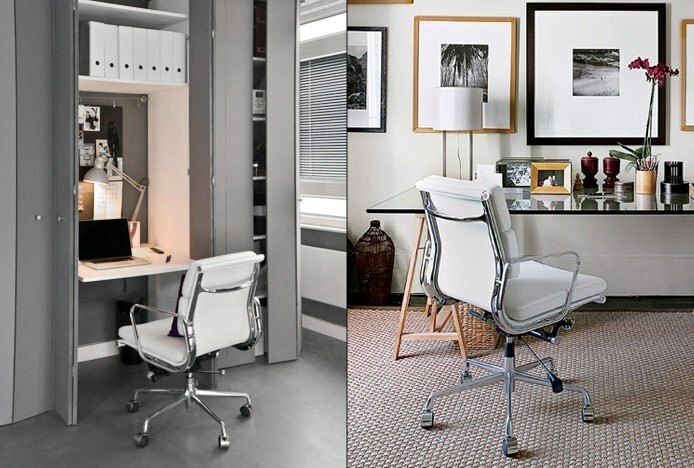 We help you choose the office chair that's right for you and your space..
Take a closer look at three materials we use in our office chair range.. Your definitive guide to the most supportive office chair designs..